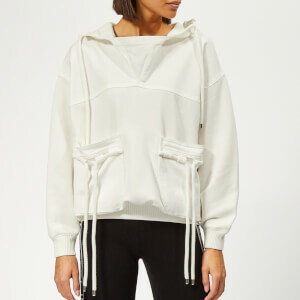 Two-toned hooded windcheater jacket from adidas by Stella McCartney. 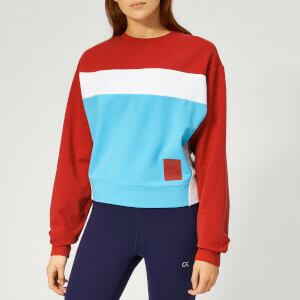 Super-lightweight and lined in breathable mesh fabric, the pullover anorak features a half-length zip with a gusseted insert, long raglan sleeves with elasticated, branded cuffs, a drawstring hood and a dual-entry kangaroo pouch on the front. An adjustable hemline with a rubberised toggle fastening ensures a snug fit, allowing you to control ventilation or insulation as you please. Complete with a logo patch stitched on the front centre.